Maybe you’d like to fall into the bliss of lavender and eucalyptus after an exhausting day at work. Or maybe you live with some pets (or people) that can’t help but pollute the entire apartment with their raucous stink. Regardless of your scent circumstance, diffusers are a cheap and effective way to create a more pleasing aromatic atmosphere in your home. So how the heck do these things work? Well, first you dump some water in the diffuser’s tank, and then you add a couple drops of essential oil to the water. I like to overdo it and shake in as many drops as I can, but you only need a few. When you turn the device on it create a fine mist using a tiny ultrasonic pad in the tank and ejects a pleasant mist (sometimes assisted with a little fan or just spilling, waterfall-like, out of the top). The aromatherapy diffuser market is a wee bit saturated, so we’ve taken some time to find the best diffusers that you can buy. All of these diffusers are unique and useful for different circumstances, but you can expect each one to run quietly (at around 15 db), automatically shut off when the tank is empty, and feature some sort of LED accent. 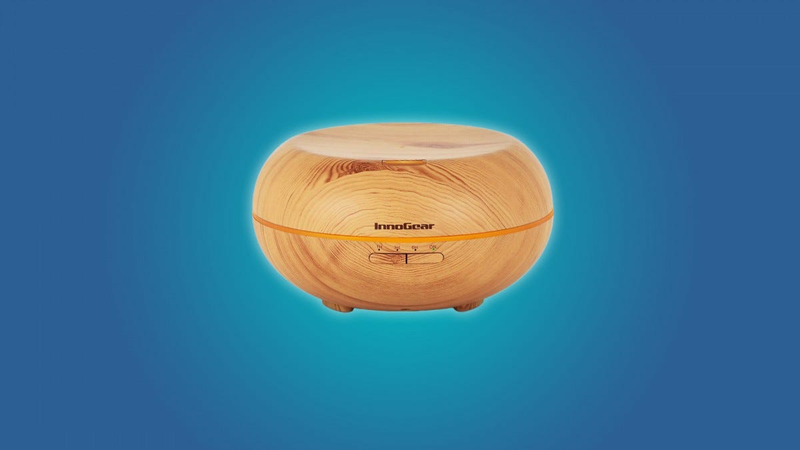 Straight away, the InnoGear 500ml is the most affordable high-capacity aromatherapy diffuser that you can buy. It looks good, has a color-changing light, and puts out a much more powerful mist than smaller diffusers. If you want to make your whole house smell like sweet orange, then you can run this bad boy in its “strong mist” mode for 10 to 15 hours before it needs to be refilled. If you’re just trying to make a bedroom or office smell nice, you can set the InnoGear to a “weak mist” mode for between 15 and 20 hours. So, those of you who happen to stay awake for 15 to 20 hours a day can now spend those troubled hours with the sweet odors of lavender and sage. You have every reason to seriously consider the InnoGear 500ml. It’s inexpensive, reliable, powerful, and it can run all day. If you want something smaller, smarter, or more portable, then keep looking through our list. 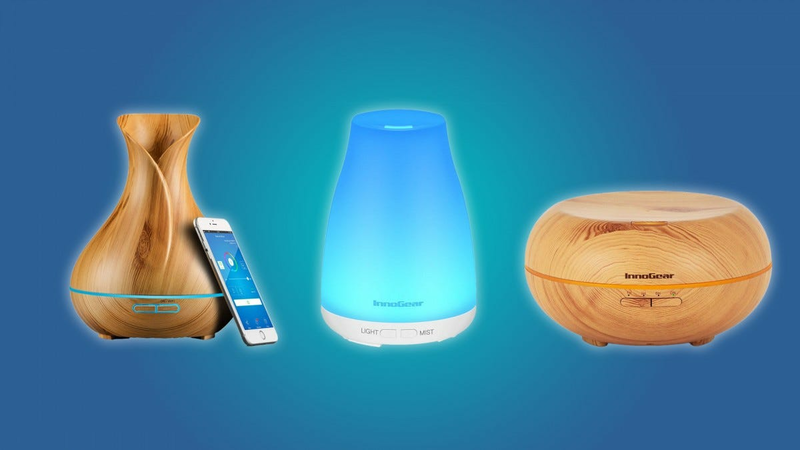 The InnoGear 100ml is a straightforward and reliable aromatherapy diffuser. It has a classic design that you’re probably used to seeing by now if you’re at all familiar with the diffuser market and some standard time-duration settings (1 hour, 3 hours, and run until empty). You can cycle through 7 color settings, in case you want a night light or some romantic mood-lighting. 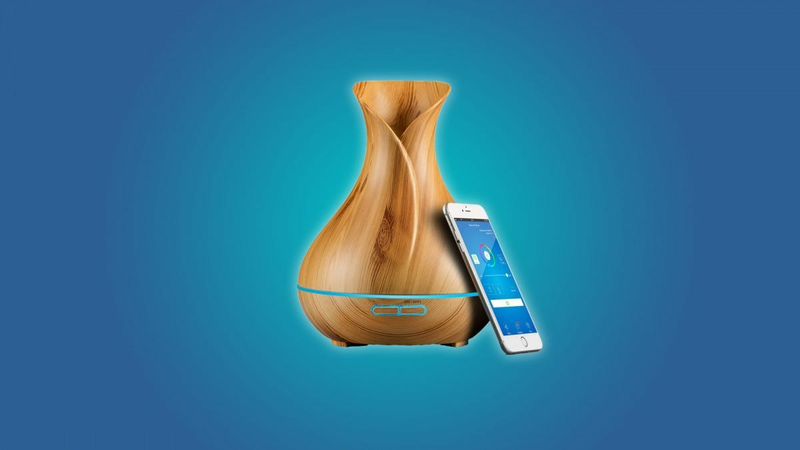 This diffuser also has an “intermittent” mist mode, which means that it starts and stops at 30 second increments. During the standard misting mode, the InnoGear 100ml works for 7 to 9 hours. In the “intermittent” mode, it can work for 9 to 11 hours. Really, there’s not a lot to say about the InnoGear 100ml, and that’s a good thing. It’s cheap, reliable, and easy to use. It doesn’t look cheesy or flashy, and it’s good at making your home smell nice. The only downside to this diffuser is its capacity and power. Yes, 7 to 9 hours is a long runtime, but that means that this diffuser is vaporizing water very slowly and producing very little mist at a time. 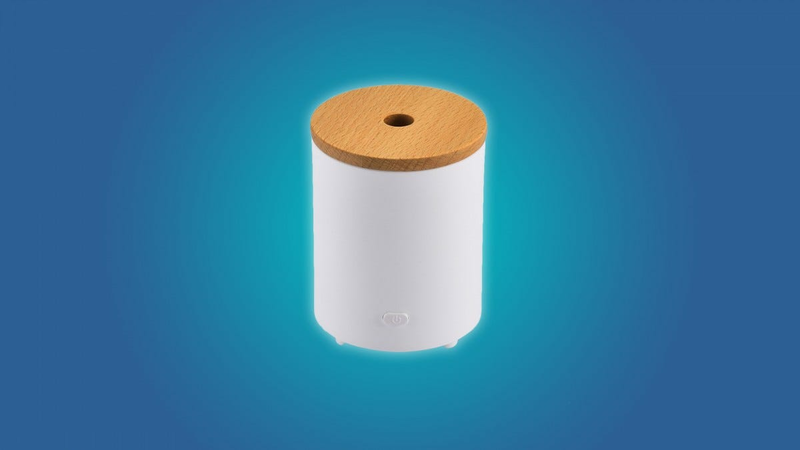 A low output is fine for a small room, but this diffuser isn’t going to dramatically change the smell of your home. If you’re looking for something cute and portable, the Aptoyu 200ml may be right up your alley. It’s powered by a USB cable, so you can plug it into your computer at work or pair it with a portable battery on the subway. If you do choose to carry the Aptoyu around in public, you can impress people by cycling through its LED color settings. If you’ve fallen in love with the Aptoyu’s look then you’ll be happy to know that it isn’t just a cheap joke. This thing holds twice as much water as the InnoGear 100ml, and it has the same “intermittent mist” mode that turns the diffuser on and off at 30-second intervals. But the Aptoyu’s runtime might let you down. Despite the fact that it holds twice as much water as the InnoGear 100ml, the Aptoyu can only run for about 6 hours before it needs to be refilled. On the upside, that means that the Aptoyu’s mist-stream is stronger than the stream that comes from the InnoGear 100ml, but it can’t run nearly as long. If an indulgent and couch-potato-friendly diffuser peaks your interest, then you should take a look at the ALOVECO 300ml Remote Diffuser. This baby comes with a remote control, so you can stay seated while changing the diffuser’s LED color or mist mode. Like some of our other diffusers, the ALOVECO has an “intermittent” misting mode that turns the mist off and on in 30-minute intervals. Between its strong and weak mist modes, the ALOVECO can run for about 10 hours at a time. Remote controls are super cool, but here’s the thing. Some people like to fill their aromatherapy diffuser to the brim, turn that sucker on and let it run until its empty. If you’re that kind of person, then you may as well forget about the remote control. The ALOVECO is best for fidgety people who switch the settings on their diffuser every couple of hours. Maybe you want to put one of these things on a high shelf, or maybe you’d like to tuck it behind some furniture. Either way, this is a great diffuser, but some people won’t get any use out of the remote. Wouldn’t you love to be cradled by a decadent mist of jasmine and peppermint without getting up to turn on a diffuser? 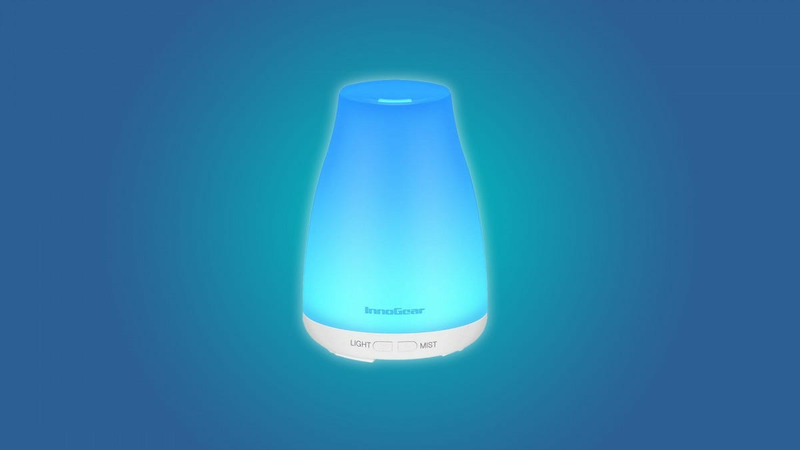 Unlike a regular old-fashioned aromatherapy diffuser, the Sierra Modern Home Smart Diffuser can be operated using a smartphone, a Google Home device, or an Alexa device. That means you can control the diffuser’s LED color, mist intensity, and timer duration without lifting a finger. But the most useful aspect of the Sierra smart diffuser is its scheduling feature. 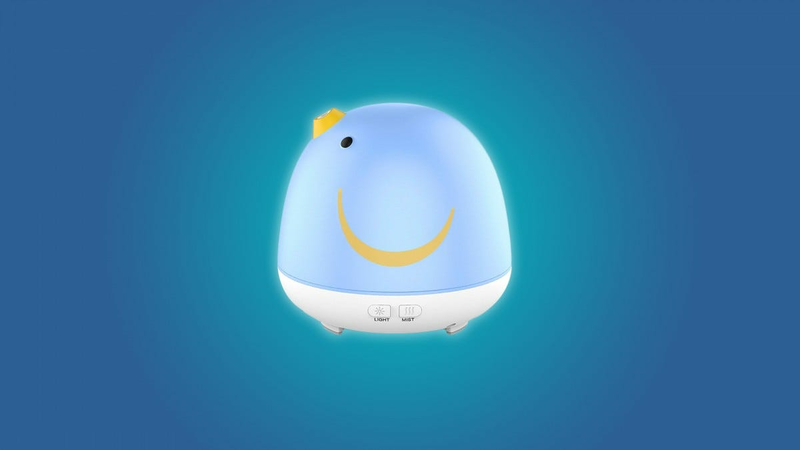 You can program the smart diffuser to active at certain times during the week. Imagine coming home to the smell of eucalyptus or tea tree without a second thought? Although you can’t tell your phone to refill the smart diffuser, you probably won’t have to worry about refilling it all the time. 400ml is a lot of water, and you can run the smart diffuser for 12 hours before it goes dry. If you ran this thing for an hour a day, it would last for about two weeks without being refilled. That’s pretty luxurious. Not every aromatherapy diffuser needs to produce mist. Maybe you’re a teacher or an office worker who wants to embrace the smell of sweet orange without using chemicals or creating a mist. Maybe you’re interested in taking the smells of eucalyptus and tea tree on the go, but you can’t refill a typical diffuser in the car. The AromaAllure Waterless Portable Diffuser doesn’t produce a mist because it doesn’t use water. 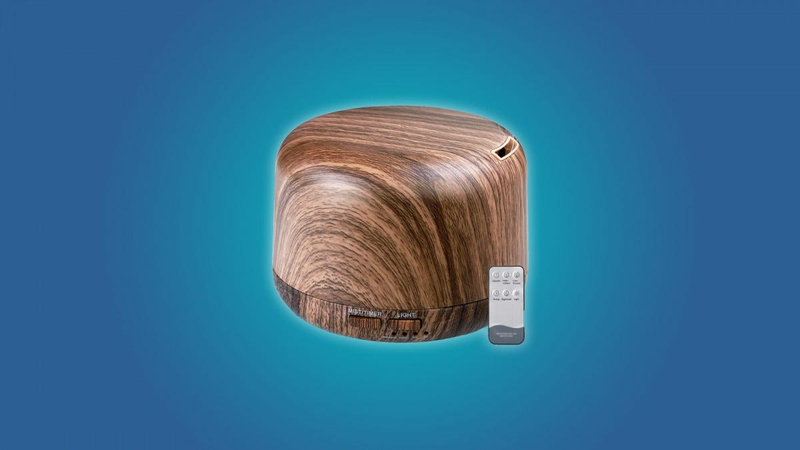 It’s a discreet, strong scent-maker that can be powered by USB cable or AAA batteries. How does this dang thing work? 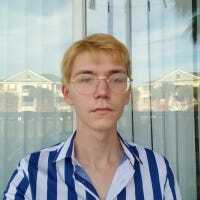 Magic? When you open up the AromaAllure you see a little fabric pad suspended over a tiny fan. You drip some essential oil onto the fabric, close the diffuser, and turn it on. The tiny little fan produces a warm airflow within the diffuser, and a strong smell is emitted from the lid. While the AromaAllure may not be as romantic as a typical aromatherapy diffuser, it’s a lot more portable and discreet. Again, this is a great option for people who want to take essential oils on the go, or who want to avoid making any mist. The Apple Watch is getting its first major facelift in years with the Series 4, announced today at Apple’s “Gather Round” event. The updated Watch is now larger, with 40mm and 44mm sizes replacing the 38mm and 42mm sizes of past designs.